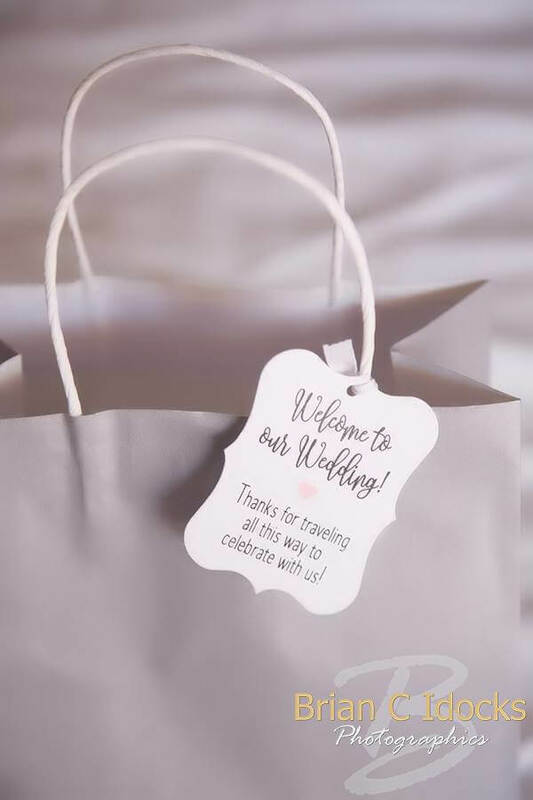 When Ashley and Tyler chose Clearwater Beach and the Hyatt Regency Clearwater Resort and Spa for their destination wedding, it was the perfect way to pamper their guests. 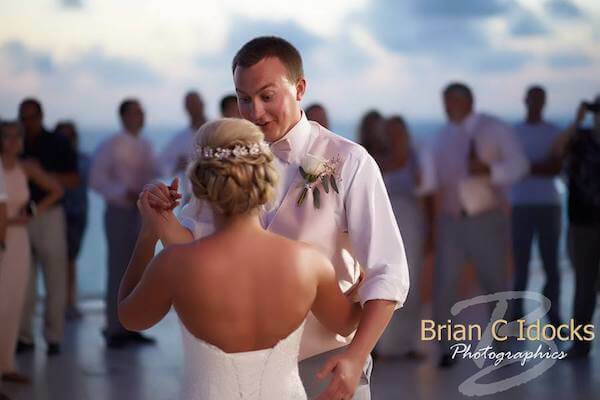 Special Moments Event Planning loves a couple who can focus on the details and on the guest experience. This wedding checked all of the boxes. The Hyatt Regency offered comfortable accommodations for the couple and their guests. The hotel sits across the street from the world-renowned Clear Water Beach with a promenade offering access to shopping and restaurants. 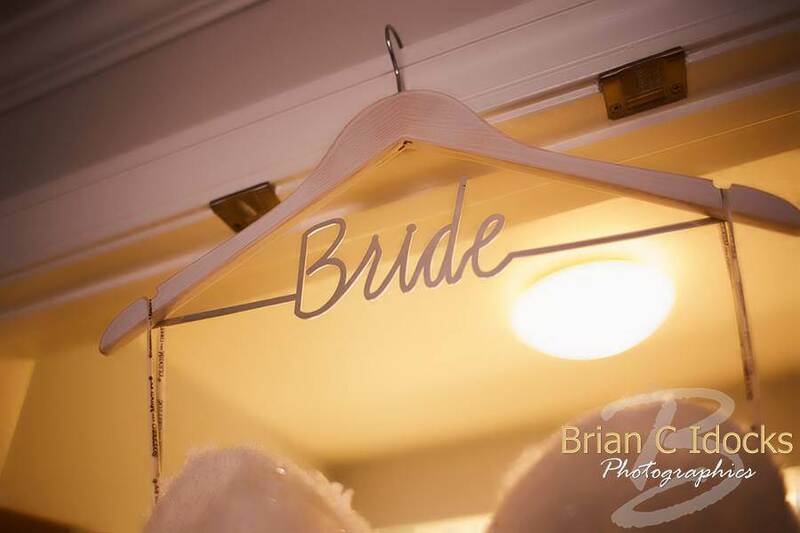 The ladies enjoyed getting ready for the big day and, these fun comfortable loungers were a nice touch. Ashley looked stunning in her strapless lace gown with sweetheart neckline. 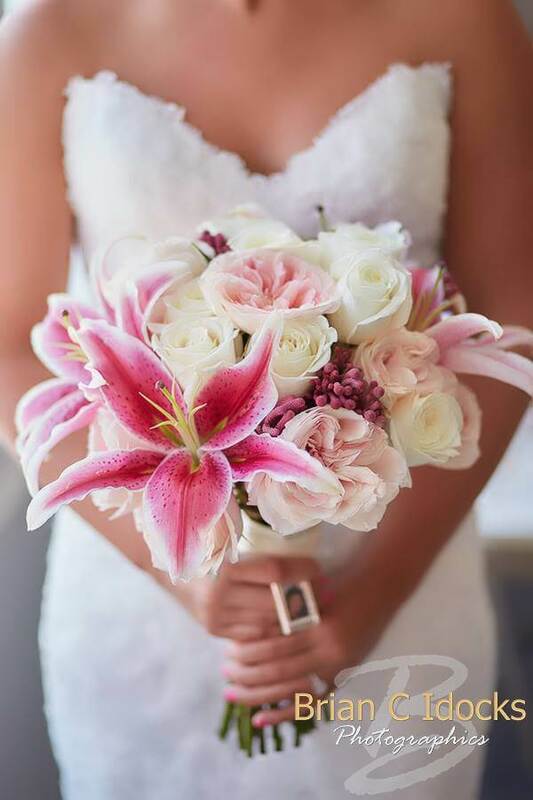 She carried a hand-tied bouquet of bright pink Stargazer lilies, white roses, and full pale pink cottage roses. The perfect accent was a photo locket as a sweet remembrance. 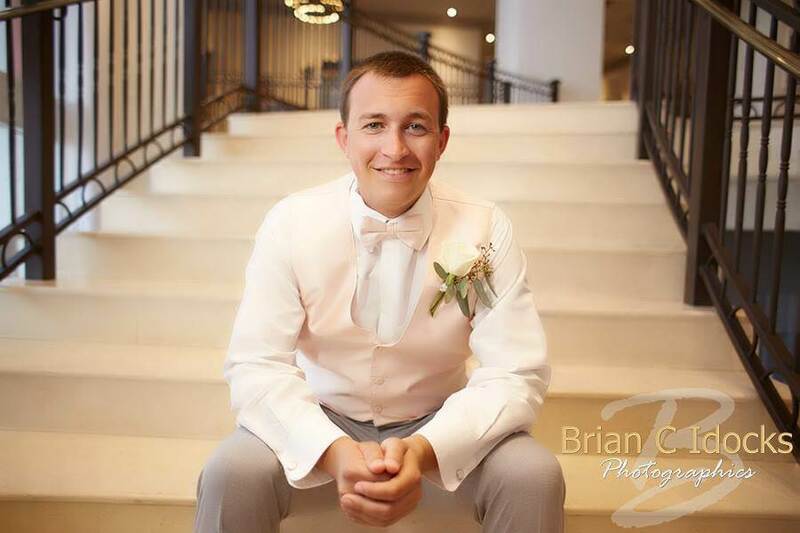 Tyler looked handsome in his light grey slacks with a pale pink vest and bow tie. Perfect for a waterfront wedding, but still very comfortable. 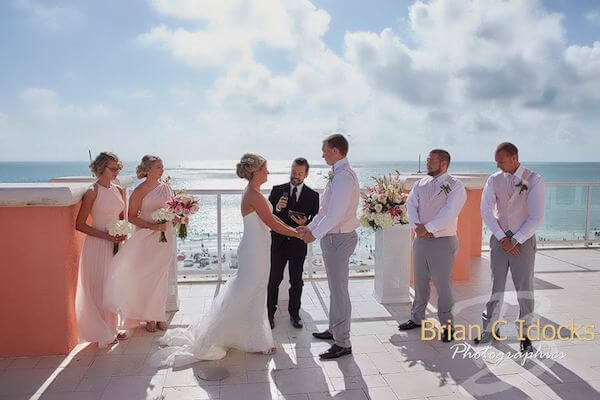 Their wedding ceremony on the Caladesi Terrace had a breathtaking Clearwater Beach view with the Gulf of Mexico in the background. The perfect way to bring in the beach without getting your toes in the sand. The ceremony was accented with white garden chairs and white cubes topped with full floral arrangements incorporating the flowers from her bouquet. 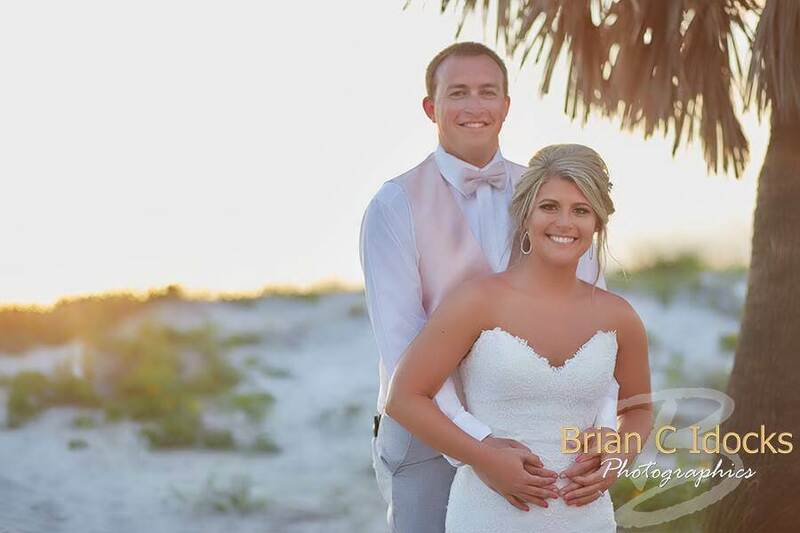 Ashley and Tyler took advantage of the gulf sunset and beach front for some photos together. 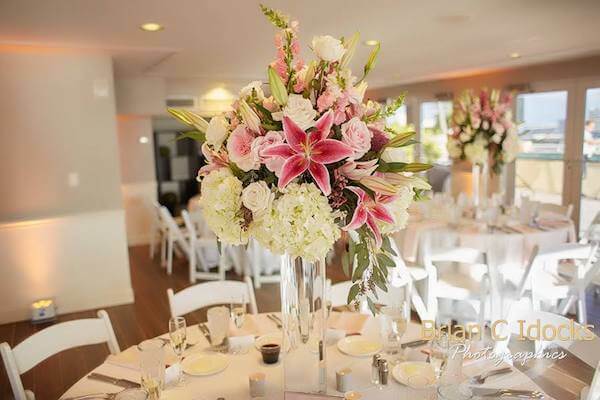 The indoor space with floor to ceiling windows overlooking the water was set with white linen, white garden chairs and tall glass vases of bright pink and white flowers. 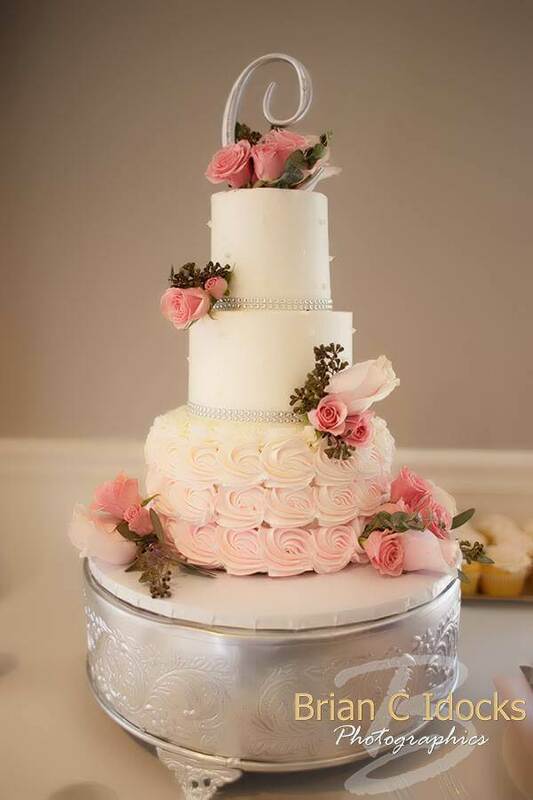 Their wedding cake was a focal point of the room with two smooth white tiers resting on a bottom tier of pink and white ombre; tied together with a grey cake topper and pink and white roses. The indoor space was perfect for dining and opened to the outdoor space to overlook the Gulf of Mexico. A beautiful sunset provided the perfect ambiance for an evening of dancing. 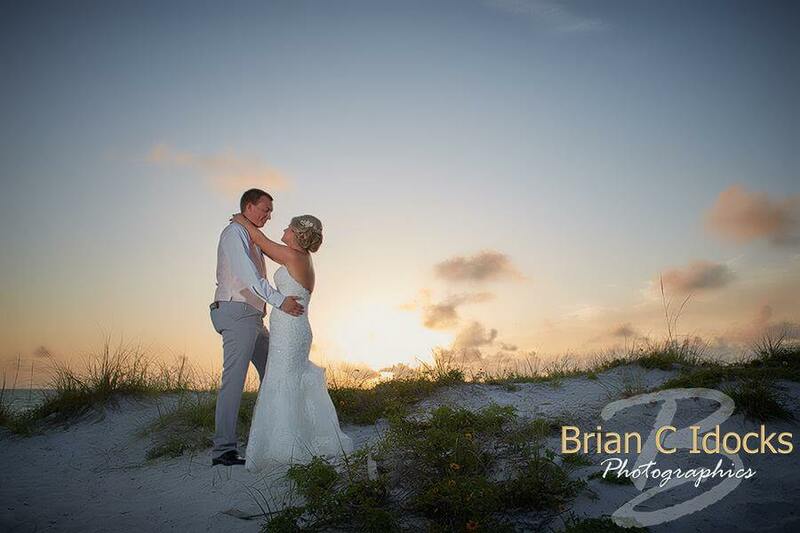 A great ending to a Florida destination wedding. 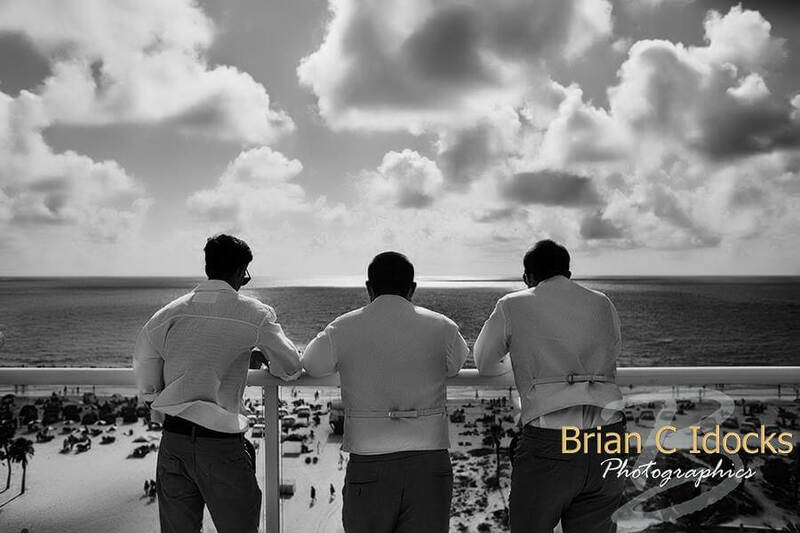 Thanks so much to the awesome Tampa Bay wedding team who helped bring this Clearwater Beach Destination wedding together. 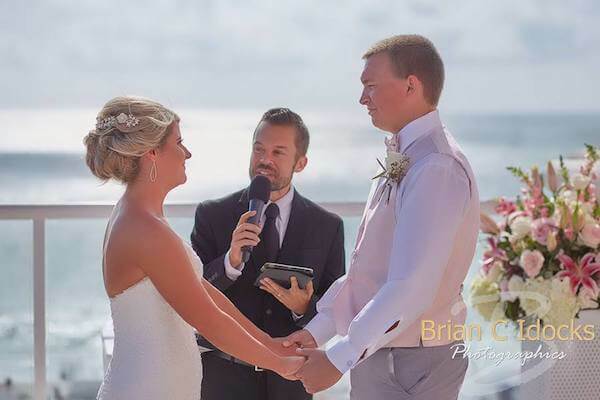 Wedding DJ – Grant Hemond & Associates, Inc.